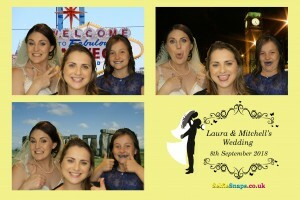 Our luxury photo booth and resident magician were in action yesterday at Hilton St Annes Manor Wokingham for the wedding of Laura and Mitchell. 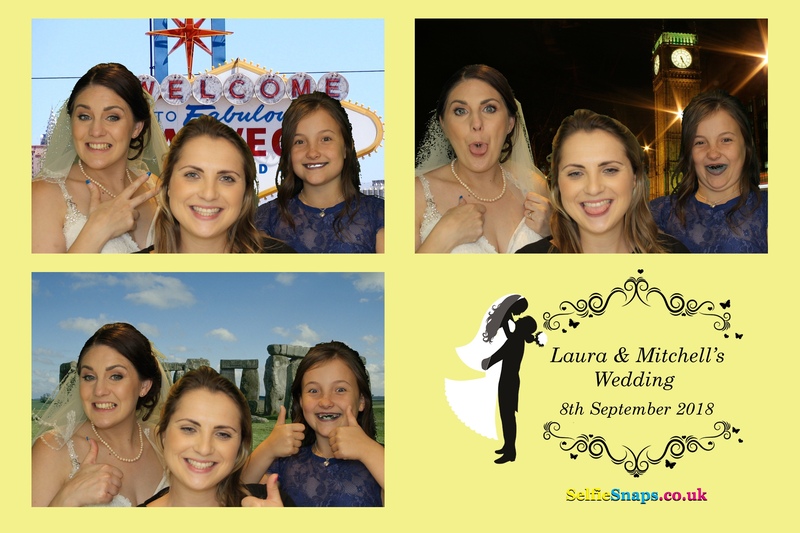 Our resident magician, Kevin Cann, kicked off the afternoon with 2 hours of close-up mix & mingle magic whilst the bride & groom had their photos taken, then later that evening or luxury photo booth with green screen backgrounds was in action. There has been a Manor House on the grounds of Hilton St Annes Manor Wokinghaam since the 14th Century. It was built on the land belonging to “Rico de Bockhurst” and called Buckhurst or Buckhurst estate. The name derived from the Old English Bock (Beech) and Hyrst (Wooded Hill). The first mention of which being in tax records of 1327 for Oakingham or as it is now known, Wokingham. The next mention we know of is in 1509, when the Bishop of Salisbury charged a “Mr Drew Sawbourne” 30 shillings or £1.50 per year rent, for the Manor of Buckhurst or Buckhurst Manor as it was later known. In the last few years of the 18th Century “William Heelas the Elder” moved to Wokingham from London to farm 200 acres of “Buckhurst Estate” with his two sons, one of which opened a linen drapers store in Wokingham and the other a business in Reading which in turn led to the John Lewis Department Store formerly known as “Heelas”. By 1882 “Buckhurst House” was occupied by a local justice of the peace, Mr Charles Townsend Murdoch, who was three times Member of Parliament for Reading, until his death in 1898, his wife residing in Buckhurst house until 1928. By 1939 Buckhurst House was in a very run down state and was bought by an order of nuns known as the “Sisters of Bon Secours”. The order was founded in 1821 by the Archbishop of Paris and has numerous houses all over the world. The nuns re-named the house “St. Anne’s Nursing & Convalescent Home” and looked after those people who could not be cared for in their own homes through out the war, and continued afterwards until the 1970’s, when the house was bought by private hoteliers and re-named “St Anne’s Manor”. Stakis Plc bought St Anne’s Manor in 1986, upgrading the existing structure and facilities to add Reception Area, Restaurant, Leisure Club and 118 bedrooms. Architects were appointed with specific instructions to retain the ambience of the original “Buckhurst Manor”, the new structure blending in perfectly with the old. In 1994 the Sunningdale Conference Centre was added to the hotel, followed 3 years later in 1997 by the Georgian Conservatory and “Buckhurst Club” executive bedroom wing. In 1999 Stakis merged with Hilton to become the Hilton St Annes Manor Wokingham. One part of the history of St Anne’s still lives on, however, in the form of the ghost of one of the Sisters of Bon Secours who can, apparently, on occasion be seen gliding through parts of the Old Manor House!